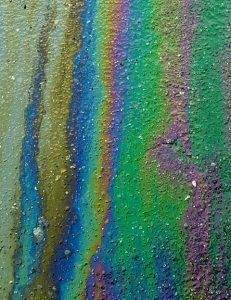 Petaluma’s streets are full of surprises. 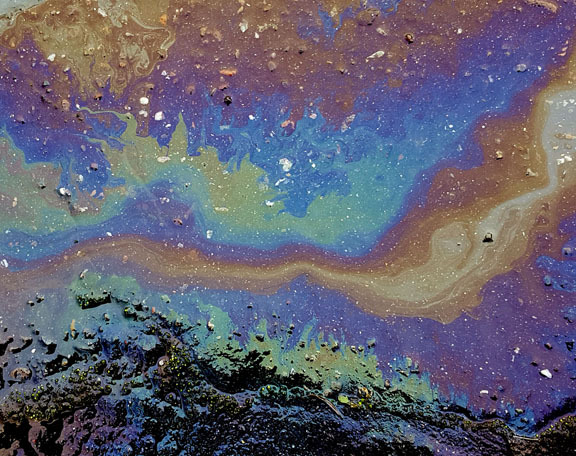 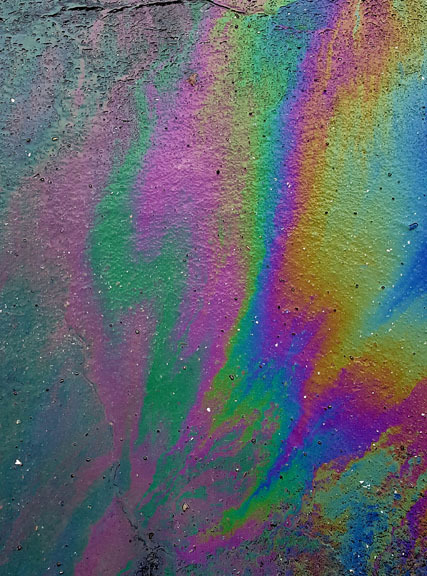 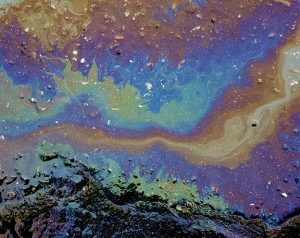 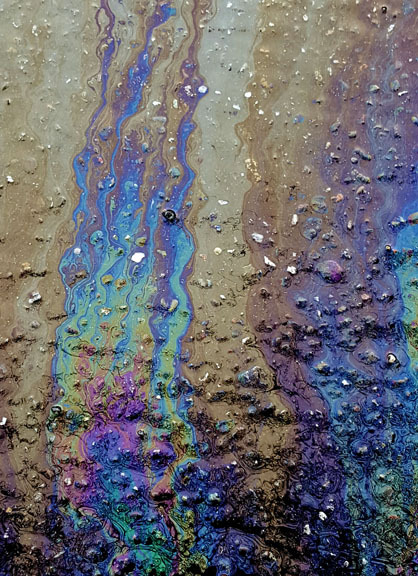 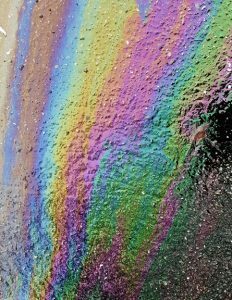 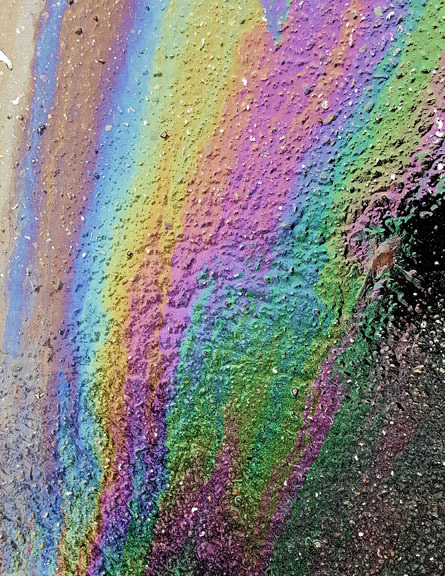 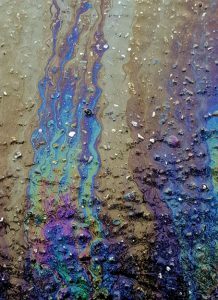 After all the rain we’ve had this last week, places where petroleum products have dripped onto the streets have turned in oily rainbows. 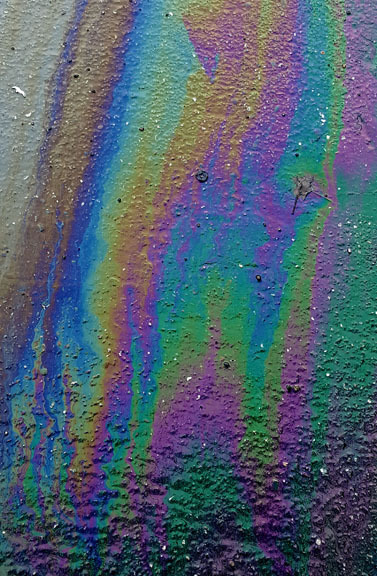 Good news: the spots are pretty to look at. 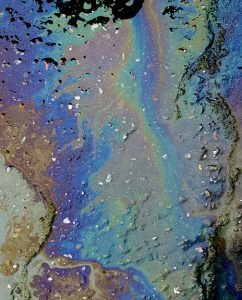 Bad news: when they find their way into storm drains, they will eventually pollute the Petaluma River. Educator, computer consultant, avid photographer and owner of alwaysangels.com, you are likely to see Bob Caruso walking along the sidewalks of Petaluma. 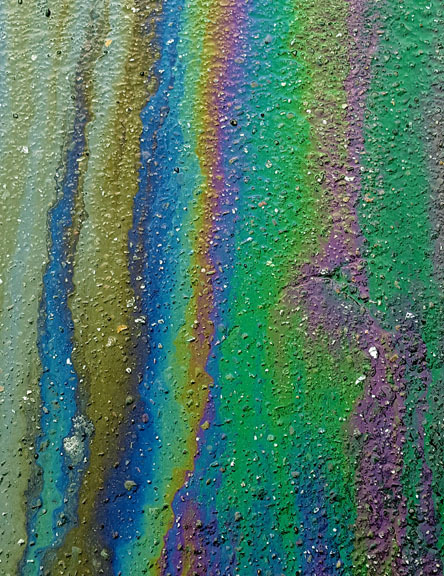 He loves walking around town and sitting by the river at the Apple Box on a sunny day. 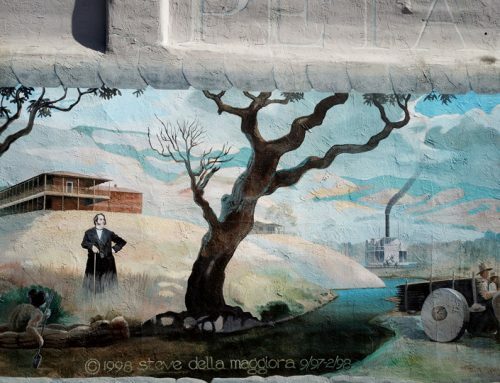 The name Petaluma Angels refers to the collection of Angels Bob has at Always Angels.